This week, I’m pleased to introduce the Martinez family. 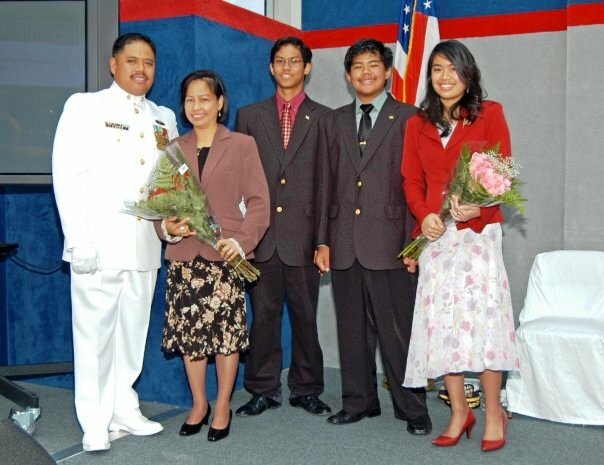 Siblings Allia Grace and Aljo Victor each received ThanksUSA scholarships for the 2009/2010 academic year for studies at the University of South Alabama. The children of CPO Alfredo Dyune Martinez, U.S. Navy (Ret. ), Allia and Aljo are eager to share their academic goals and achievements with ThanksUSA supporters. Since each of our scholars deserves recognition for their individual accomplishments, I begin this week with introducing Allia Grace Martinez. 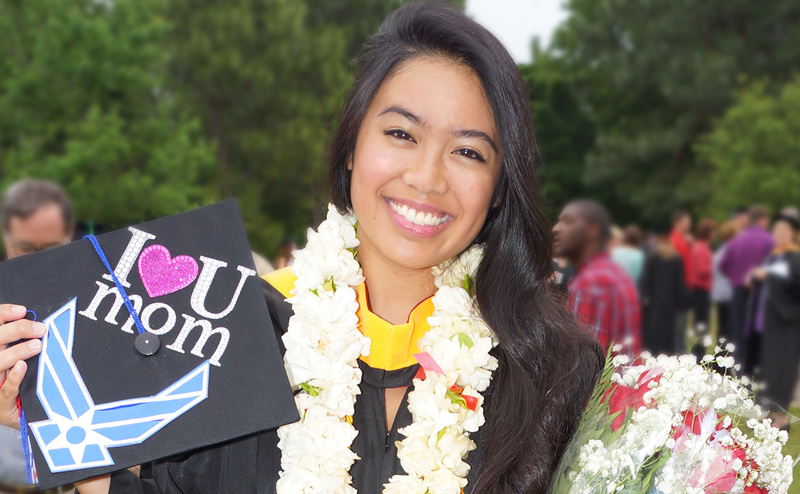 Allia began her college career at a private Christian college that did not accept outside scholarships; a policy that made it impossible for her to afford tuition. Now that she has transferred to the University of South Alabama, she is able to utilize her $3000 Military Connection/ThanksUSA Scholarship to study Biomedical Sciences. “In most cases, finances are tight for a family of five. This scholarship helped me stay in college. I am very grateful for Military Connections and ThanksUSA,” says Allia. In addition to her volunteer Pharmacy work, Allia is very active with her church youth group. Their ministry brings Sunday Service to nursing home residents and shut-ins. For Allia, the most important part of the ministry is making sure that people feel they are not forgotten. “My grandmother was diagnosed with Alzheimer’s and currently lives at a nursing home. The youth ministry is close and dear to my heart. I always think of my grandmother when we visit and meet the elderly at our local nursing home. I am confident that someone is showing the same kindness to her,” says Allia. The disciplined structure of the military also provided Allia with focus and determination. Through her hard work and diligence, she has maintained a 4.0 GPA and is on the President’s Scholars List. She is currently enrolled in the AFROTC program and has been accepted to the Arnold Airs Honor Society. “College life helped me see and take advantage of the great opportunities available. I see how hard work is rewarded and it motivates me to keep pursuing excellence,” remarks Allia. She is also considering a military career of her own in the U.S. Air Force. I would like to express my gratitude to Military Connections and ThanksUSA for their generosity. Its compassionate organizations like them who truly make a difference in helping people pursue their dreams of higher education. Thank you so much! Allia, thank you for sharing with us. We hope you continue to excel at your studies while making a difference in the lives of so many. ThanksUSA is continuing our mission of “paying-it-forward” by accepting scholarship applications for the 2010/2011 academic year. Applications will be accepted online until May 15, 2010. 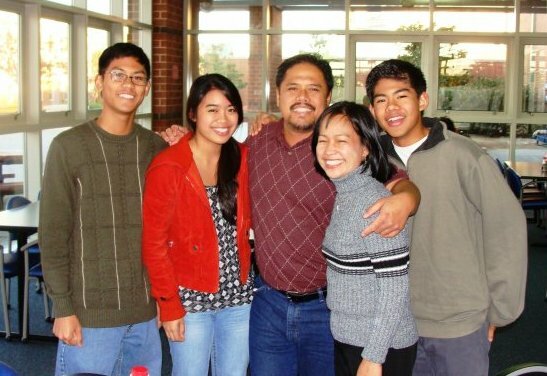 Please visit the Scholarship News blog next week to meet Allia’s brother, Aljo Victor.